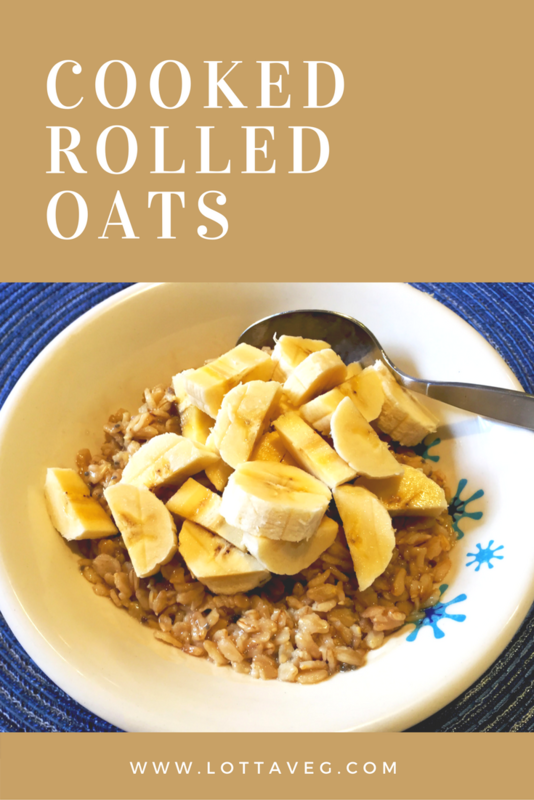 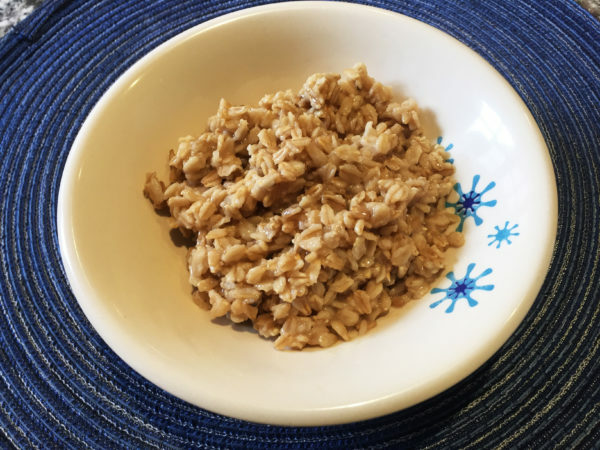 This Cooked Rolled Oats recipe is a traditional favorite and a hearty breakfast sure to keep you satisfied until lunch. 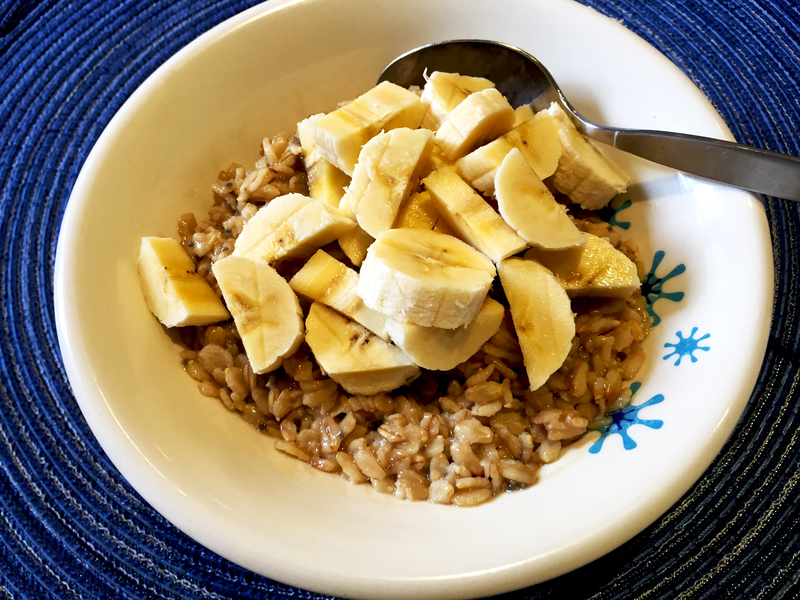 Enjoy topped with fruit. 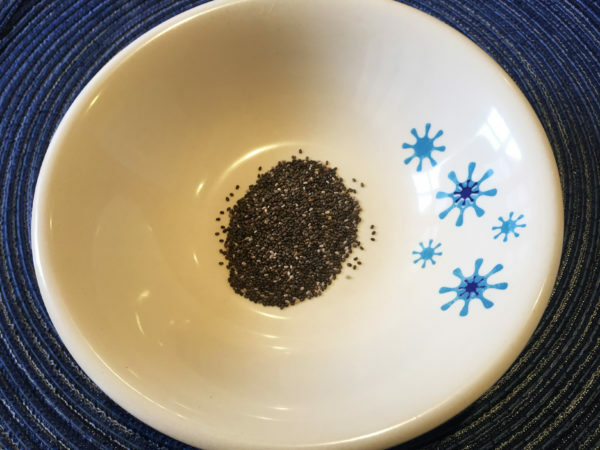 Add 1 tsp chia seeds to two bowls. Top each with 1 tbsp of almond milk and stir to combine. 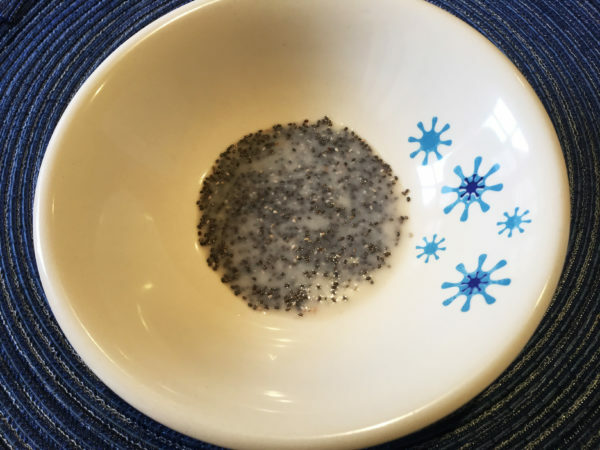 This will give the chia seeds time to soften while your oats are cooking. 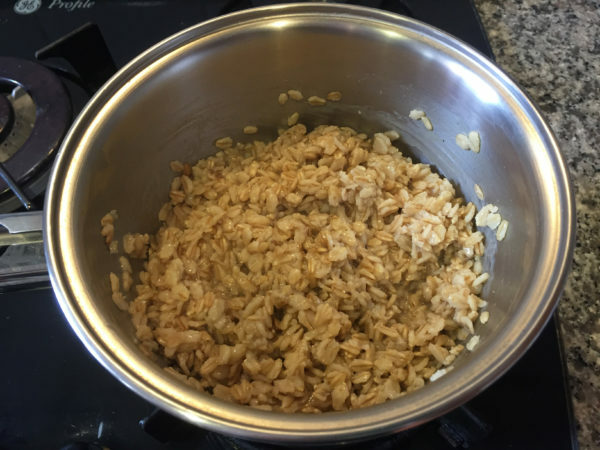 Add the rolled oats to the boiling water and stir to combine. 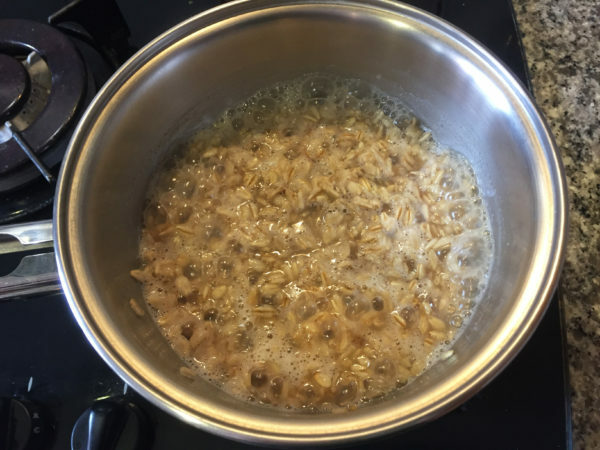 Return to a boil and reduce heat to simmer for 10 minutes or until the water has been absorbed and the oats are soft. 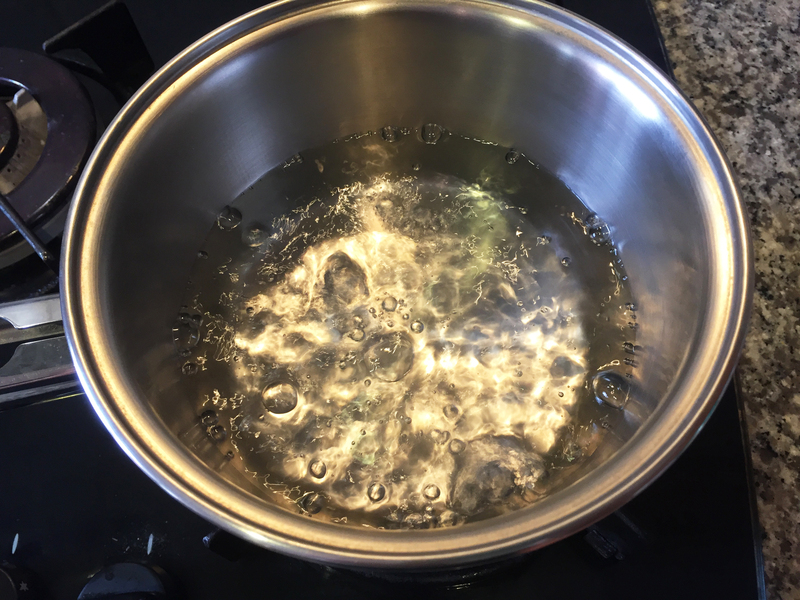 Stir occasionally. Add 3/4 cup of cooked oats to each bowl. 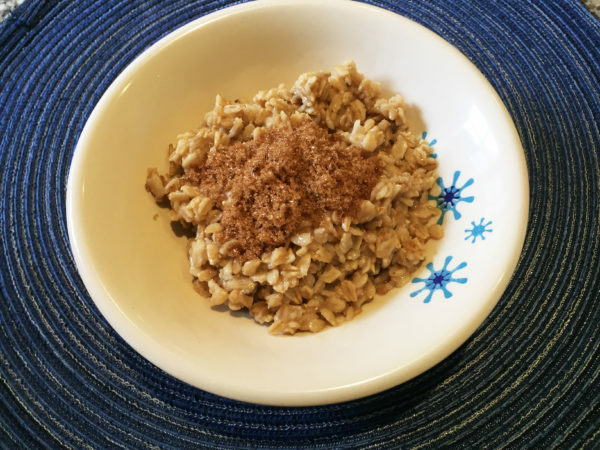 Top with brown sugar, maple syrup or agave to sweeten. Stir to combine. 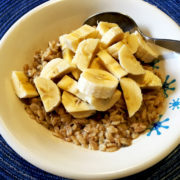 Top each bowl with 1 halved and sliced banana, or your favorite fruit or berries. Serving size is 3/4 cup of oats and 1 banana.